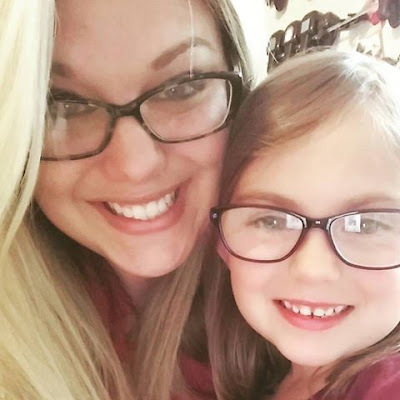 LeAnne, I couldn't believe when I got to the bottom of your post and saw the beautiful picture of your girls with Cassidy in her new glasses. Ironically, my granddaughter who is 6 just got glasses! LOVE watching Cassidy grow. What a special blessing our granddaughters are. :-) Your card is really cute too! Love how bright and splashy your card is! And your girls are beautiful......Cassidy looks adorable in her new specs! Love your bold collage using our colors this week. It is fantastic. And, as a mom of a glasses sporting gal, I always love to see beautiful girls in glasses. Well fancy that, God knew just what you needed to make a special card for a new little bundle from Heaven!! I like your fun mix of patterns and the way your worked your magic with the colors. Thanks so much for joining us at ColourQ! Your girls are so CUTE!! Ooh, nice take on that sketch! And I love the way you've mixed up these colors with paper, ink, and some cool stars! Woo hoo to Cassiday and her new specs! She looks even more grown-up with them! Love your baby card, LeAnne, I am not fond of doing them either! Yours is so fun! Love the glasses on your girls. Happy you played with us this week at the colourQ. I love the way you mix colours and patterns together with such apparent ease! Another great card! This card is just awesome, colors, everything. You nailed this one and it's one of my favorites for this week! Thank you so very much for joining us at the Paper Craft Crew this week for our sketch challenge and we sure do hope to see you back for our next challenge! 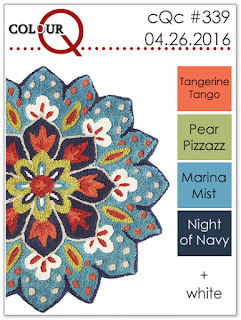 Your card is fantastic for both Color Q and papercraft crew! Boy cards are such a fun challenge but you are clearly rocking it with this one. I love how colorful and playful this card is! Very cute! Thank you for joining the Paper Craft Crew this week. Awesome use of these colors...sweet baby card!